Hello everyone! First, I would like to thank Jackie for hosting me on her blog today. Trust Trade, which is set to release today, January 27th, took me a while to write. I was finishing it up, I believe, when my significant other was in the hospital having a hip operation, of all things. (It’s kind of a long story, his physical therapist says he had the same sort of impact injury that ended Bo Jackson’s career. The impact was his hip with the floor after epically slipping on a child’s toy. He slipped so hard I swear he was hanging in midair, horizontal, before he crashed to the ground.) I started Trust Trade after writing The Paranaturalist, which was a very involved paranormal book with lots of world building. I think I subconsciously wanted to give my brain a break from the need to create paranormal elements along with my story, or at least that is how it worked out, so I started working on what I thought vaguely would be a sort of crime drama/thriller type story. In the end, that’s what Trust Trade worked out to be. So, I decided that I would write a character who is deaf. Basically, I’m full of the worst sort of hubris. I thought it would be a nice exercise to write a deaf character, kind of like when you flip through a writing prompt book and they tell you to write a paragraph from the perspective of a blind man. Well, a paragraph or two is much different from writing an entire novel. I quickly realized I was in over my head. Not only did I not personally know any deaf people, save for one bartender who I have a purely professional relationship with—she gives me beer, I give her money—I didn’t know anything about sign language, or Deaf culture, or …basically anything much at all. In my mind Jeb Birchman was deaf. That’s it. I’d written him that way and I couldn’t change who he was. He had already become a person to me. Freddy’s parents were deaf already. 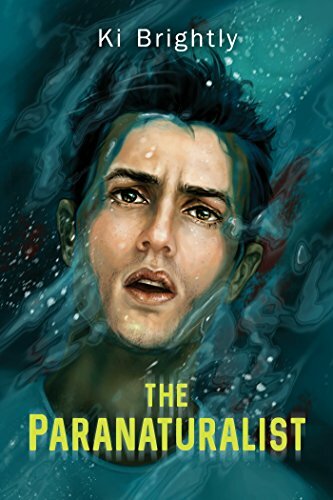 Basically, I had to sink or float and I knew handling this poorly would ruin my entire story. So…I pondered how to make this work. I did my typical nerdy person thing and ordered about 10 books on Deaf culture, being deaf in modern society, sign language, and things of that nature. But, books are only books. Books aren’t experience. I need to talk to some people who are deaf about being deaf. I’ll buy coffee if you want to meet and give me an hour or two of your time. Thanks! 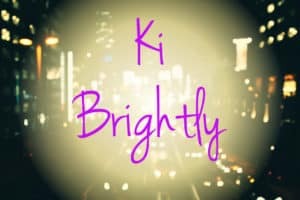 The post was a little more involved than that, but I signed—Ki Brightly—and went about my day. The responses came flooding in. In the end, Craigslist was an interesting experience, but mostly a bust. One kid I chased off with too many questions—he got flustered and left and I felt bad—and no one else showed up. I was back at square one. So, I did what any tried and true nerd would do. I read my books. I went online and watched deaf people signing. I went to websites for people who are deaf and read about their pet peeves. I read about the problems that people face day to day. The prejudice. The idiots they have to deal with. I also read about people who don’t have a problem with being deaf, were born that way, and don’t see it as a handicap, so much as see the rest of the world unable to adjust to their difference. Doing this research was a hell of an experience I won’t soon forget, but it did make writing Trust Trade take a lot longer than it might have otherwise. I refused to send it out into the world as anything that wouldn’t accurately portray the deaf experience since, I think, many people like me don’t know any deaf people. I went through every single scene trying to make sure that it played out as real for Jeb’s perspective. In the end, I’m really glad I did do the research and took my time with it because I feel like since I was writing people who aren’t portrayed often in media that it would have been insulting to do otherwise. I’m really happy with how Jeb Birchman turned out. I tried to show Jeb’s experiences as a person who became deaf, and on the other end of the spectrum I had Freddy who grew up Deaf (not that he couldn’t hear, but he grew up in the Deaf culture). I tried to show his parents as people who grew up Deaf and went to Deaf schools and were a product of that generation and closed society and the institutions that were in place during their formative years for Deaf people. 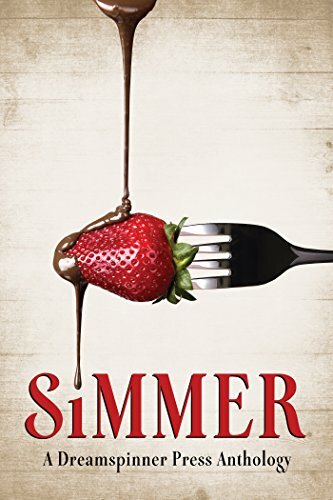 His mom works at a Deaf school and his father is an accountant who shuffled around through several jobs before finding one with a boss who is a CODA, a child of deaf adults, which is also what Freddy is. As a result, Freddy has a particular view of the world. He’s helpful and sees community as important. Freddy can’t really fathom a world in which people aren’t trying their best to help one another when they can, and I think only a person like that would have been able to help Jeb wrestle his demons. As much as I’ve talked about it here, Jeb being deaf isn’t the story. This is a story about Jeb and Freddy and Jeb just happens to be deaf. It’s not much of a focal point, though it affects the rest of the story. 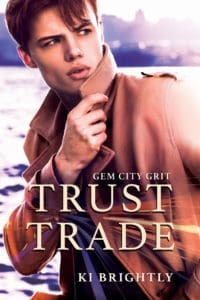 Trust Trade is a romance and a crime drama and a thriller, and I hope when you read it you will be rooting for the guys to reach their happily ever after. Ki grew up in small town nowhere pretending that meteor showers were aliens invading, turning wildflowers into magic potions, and reading more than was probably healthy. 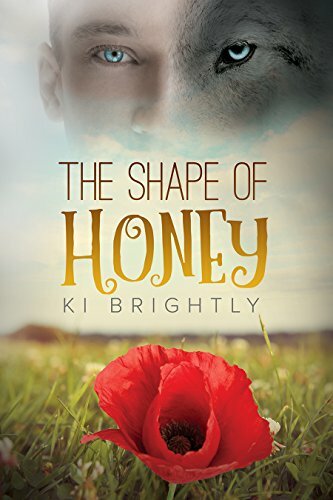 Ki had one amazing best friend, one endlessly out of grasp “true love”, and a personal vendetta against normalcy. Ki shares this life with a Muse, a Sugar Plum, and two wonderful children. Just finished the blurb, and everything about this books screams ‘A Must Have’ for me. I had to download it immediately from Amazon and can’t wait to start it.